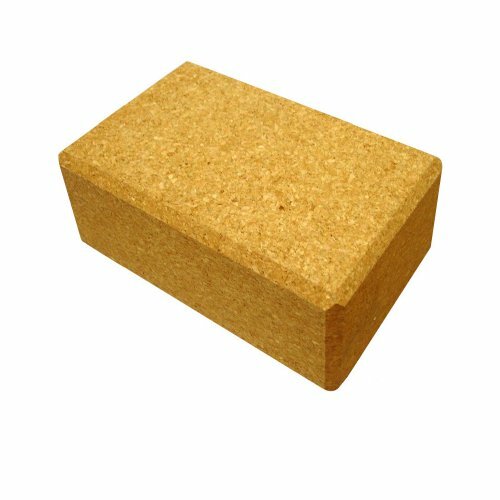 Our cork yoga blocks are strong enough to support your full weight and comfortable enough to use under your head or seat. Our yoga blocks are made from cork, and we guarantee they'll never get mushy or lose their shape. Lightweight and easy to use, cork yoga blocks provide support and stability for proper alignment, allowing you to practice your postures safely and effectively. They are also easy to use, store, and bring with you to class. 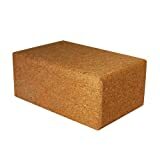 Large Cork Yoga Block 9" X 6" X 4"
Made from natural and eco-friendly cork, these yoga blocks feature high grip and provide additional stability allowing you to practice your exercises safely and effectively. The beveled edges make the blocks comfortable to use for hand, head and foot support during yoga sessions. Weighs 1 lb 11oz. and is available in different sizes.